In his keynote presentation, award-winning photographer Dewitt Jones explores the fundamentals of creativity - what they are, how they exist in each of us, and how to remove the blocks that keep us from accessing them. Using his own exceptional photographs as examples, Dewitt helps his audiences see the world with new eyes and rediscover their own creative gifts. Where do we find the vision to take our lives to the next level? How do we summon the passion to keep "raising the bar"? How can we make our life less of a struggle and more of a joy? For photographer and creativity expert, Dewitt Jones, the answers to these questions lie in the images we hold about ourselves our future and the way in which we grow. Dare to Dance is a version of Dewitt's "Extraordinary Visions" program customized for meetings in Hawaii. The themes of Vision, Passion, Purpose and Creativity are interlaced with stories and images drawn from Dewitt's time in these beautiful Pacific Isles. 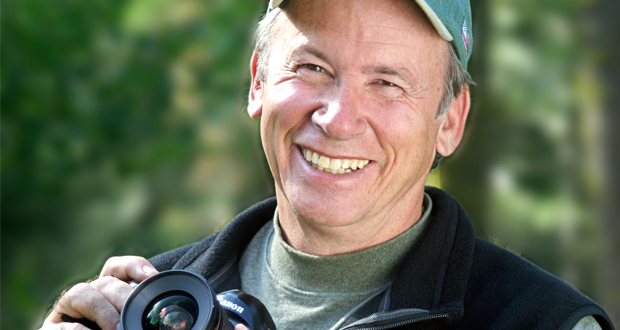 A master of the platform, he combines stories from his years with National Geographic with his extraordinary photographs to teach both innovation and vision. As a creativity expert, Dewitt shows you how to celebrate what's right with the world and focus on your originality. "Excellent speaker …very well received by everyone"
"In my 34 years in the business I have never heard a better presentation than that by Dewitt Jones. He was outstanding, articulate, touching, engaging and on a personal basis. He did not have a gimmick but a message that resonated to all attendees, Advisers, spouses, and guests. He could not have been a better fit with his message and delivery." "I felt like I gave a gift to my meeting's attendees. The visuals were beyond beautiful (which is especially important when you're locking people in a ballroom in Hawaii) and the story was equally compelling. Dewitt's delivery is perfect for his message. That man is one fine storyteller. We loved it."